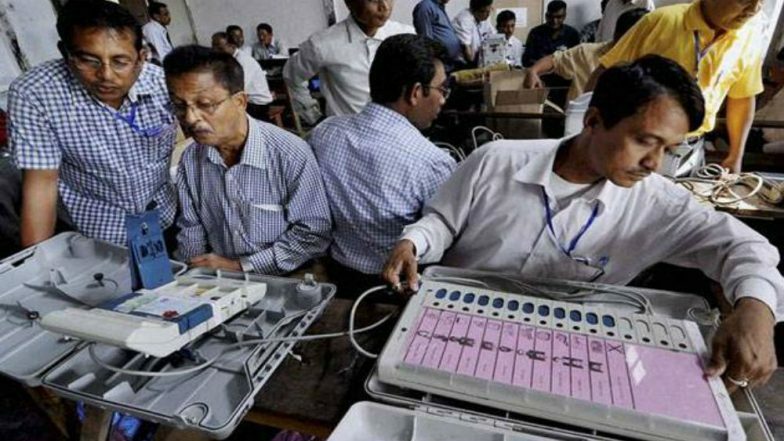 Amaravati, April 11: Massive Election Voting Machine (EVM) malfunctioning is being reported from several polling booths in Andhra Pradesh where voting for Lok Sabha and Assembly elections are underway. While technical glitches in EVMs delayed voting at many polling booths early Thursday, a candidate of Pawan Kalyan's Jana Sena was arrested for allegedly damaging an EVM in Anantapur district. EVMs are not functioning at many places in Andhra Pradesh. The glitches left people waiting in long queues. Several booths in Kuppam Assembly constituency from where Chief Minister and TDP president N Chandrababu Naidu is contesting also reported malfunctioning EVMs. Technical teams were on the job to rectify the defects and enable polling, an official told news agency PTI. Pawan Kalyan Says Chandrababu Naidu Will Lose Andhra Pradesh Assembly Elections 2019. In Guntakal Assembly constituency, Jana Sena candidate Madhusudhan Gupta was arrested after he smashed an EVM. In a video of the incident, Gupta is seen throwing an EVM on the floor at a polling station in Gooty. Gupta, who had come to cast his vote at the polling station, was angry with the polling staff over names of Assembly and Parliament constituencies not being displayed properly. Andhra Pradesh Lok Sabha Elections 2019: Phase I Voting Underway. The voting machine was damaged in the incident. Gupta was immediately arrested after the incident, the police said. The fate of 319 candidates for Lok Sabha seats and 2,118 candidates for Vidhan Sabha seats will be sealed in EVMs today. A little over 3.93 lakh voters, including 1.98 crore women, are eligible to cast their votes. The state is witnessing a three-cornered electoral contest between Chandrababu Naidu, Jagan Mohan Reddy and Jana Sena leader and actor Pawan Kalyan. The Bharatiya Janata Party (BJP) and the Congress are also in the fray but their prospects appear bleak.